Electric linear actuators are critical components in 3D printers, and they help to come parts of the printing head with pinpoint accuracy. With the advent of 3D printing, their application has been crucial in providing the axial movement with high precision. Linear motion for a 3D printer is necessary to provide a smooth, even and leveled movement of the payload to its designated positions. 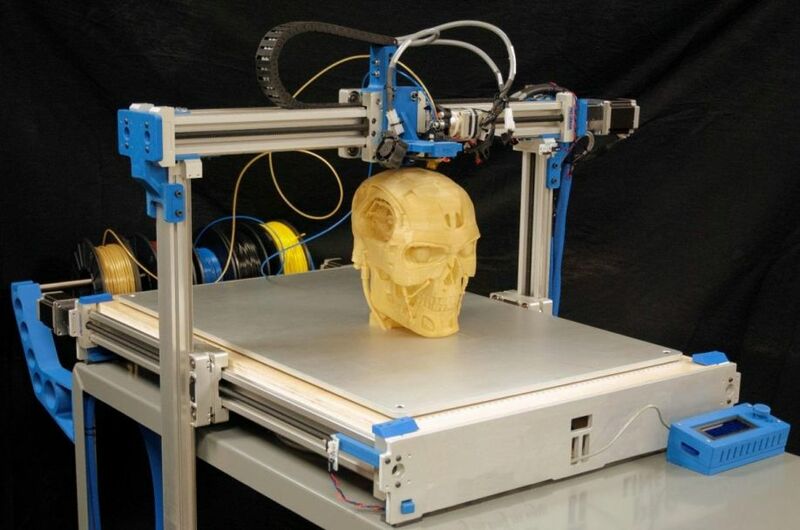 The design of 3D printing machines feature many components and must be positioned accurately to reproduce a real-world image from digital media. Linear actuators are critical components that make the mechanical motion units meant to create a high precision movement of the printing head. To move the printing head in 3D space while printing careful positioning and configuration of the printing components is indispensable. Linear motion actuators are necessary since they provide quick response time to commands thus improving the throughput time and printing capabilities. Another critical component of 3D printers meant for the motion are belt drives. Belt drives are attached to a rotating motor which moves the belt in a particular direction and speed. When the belts rotate, they move the printing components with them to their designated position and angle in the 3D printing space. Belt drives are recommended since they are less expensive to design and build. They also better suited for long distances in the printing space. They require relatively low maintenance especially regarding lubrication and minimizing friction along its movable joints. They easily integrate with the machine structure. However, belt drives can extend or loosen over time and compromise precision requirement of the printer. Therefore, they require regular inspections for damage and tensile strength to maintain the printers in top performing condition. Belt drive systems are quieter and require less power to operate. Screws are also used in motion systems of 3D printing machines. Screws are recommended in high precision areas of the printing machine. A screw motion system features a rotary motor and linear spindle typically a ball screw or leads screw. When the motor is set in motion at varying speeds depending on the need, they payload attached to the spindle moves either away or closer to the rotary motor. For the lead screw, which is relatively inefficient compared to the ball screw las a lower precision than ball screw. Whenever a screw motion system loses power, the system is jammed, unlike a belt system which can be altered manually. Screw systems lock in pace when they lose power, and they are typically noisier than belt drives due to the friction between its movable parts. Screws can, however, carry more weight than belt drives because of the mechanical advantage and stronger composite materials. Ball screws are designed to use less energy and to be more efficient than lead screws. Screws require precision even in their installation, and they need more maintenance since they generate a lot of friction. Printers using screw motion systems are noisier especially in higher throughput than belt movement because of the intensified spinning and movement of the payload on the spindle.